Did Jack Kerouac have CTE? In Vanity of Duluoz, his 1968 autobigraphical novel, Kerouac writes about suffering a football concussion while playing for the Riverdale, NY prep school Horace Mann. He loses consciousness. Once he wakes up, his coaches deem him fit to return to the game. Standing in the huddle, he asks himself, “What are we doing on this rainy field that tilts over in the earth, the earth is crooked, where am I? Who am I? What’s all that? Scheffler points out additional possible evidence of Kerouac’s history of brain trauma – 1930’s football practices and games, a 1940’s car accident and a 1958 bar beating recalled by Joyce Glassman. 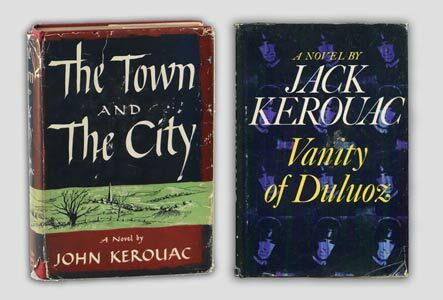 Kerouac himself would wonder if any of these incidents led to his increasingly poor memory and inability to remember early details of his life. Of course, with Kerouac, who had once told lyricist Fran Landesman that he intended to “drink himself to death,” it’s difficult to now say where the effects of Kerouac’s alcoholism end and the impact of concussions begin. Interestingly though, Dr. Cantu divides the symptoms of C.T.E. into 3 baskets, emotional, behavioral, and cognitive. So it’s possible that the concussions could have exacerbated the depression and subsequently the alcoholism. Many of the former NFL football players involved in the concussion litigation complain of similar symptoms as Kerouac – depression, uncharacteristic aggression and alcohol addiction.